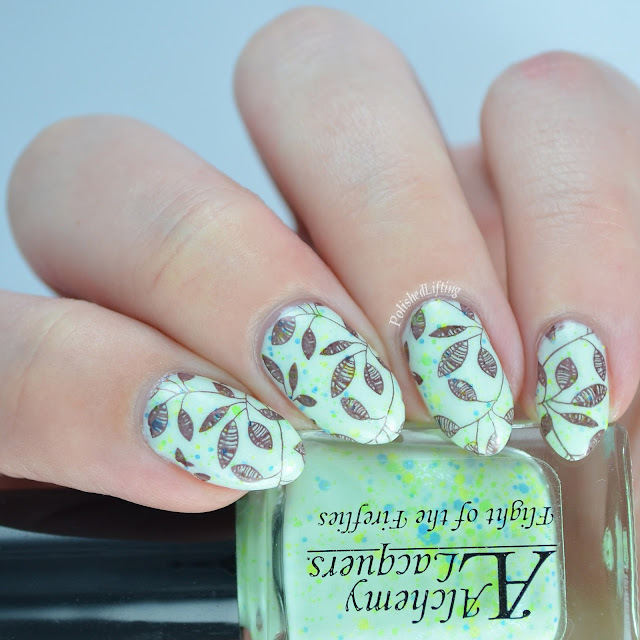 I wanted to change things up a bit with some nail art. One of my goals for this year was to include more nail art overall. So far I'm off to a sad start considering that we are over half way through January, and this is my second nail art post. 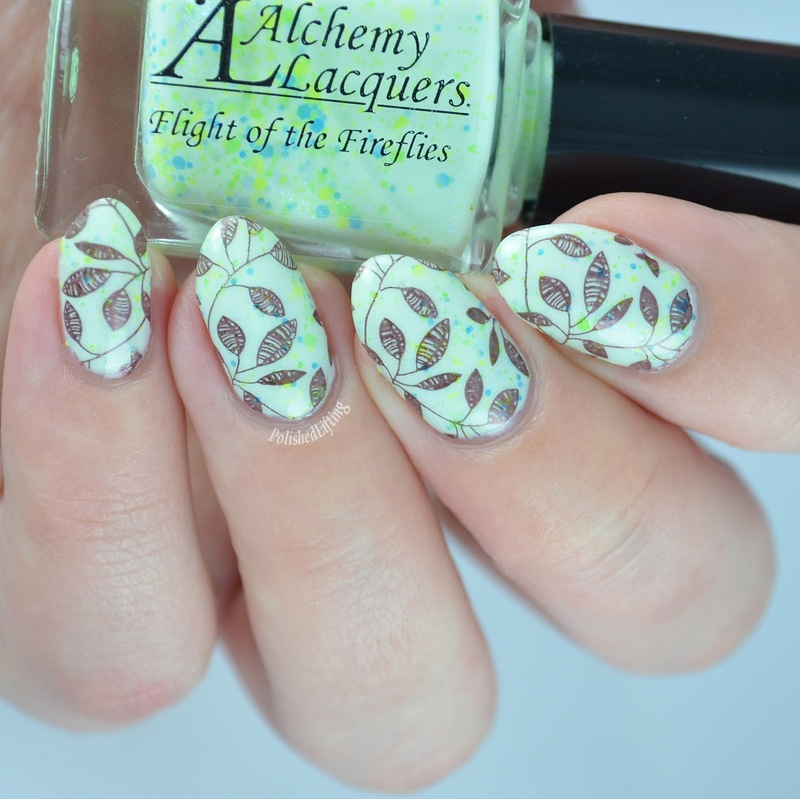 To get this look I started with a base of Alchemy Lacquers Flight of the Fireflies, and added rich brown leaves to balance the look. I topped it all off with a quick dry top coat.